As fight fans may recall, heavyweight legend George Foreman retired, for ten full years, in 1977. At the young age of just 28, walking away from millions of dollars in future fights, Foreman disappeared from the boxing ring until 1987, when he came back at age 37 to fight in another era. “For all those asking about my comeback, I don’t see anything in the next 10 years, might do a @George Foreman and come back in another era,” Fury wrote on social media yesterday. Foreman’s ultimately successful ring return shocked everyone. Laughed at at first, “Big George” slowly won the fans over, then the experts, and then he knocked reigning and defending heavyweight champion Michael Moorer over to reclaim the crown. Just imagine if Fury – who like Foreman, is very religious (George of course having his well-documented life-changing religious experience in his dressing room in Puerto Rico in March of ’77) – really did go into exile for a full ten years, only to return. That would be around November of 2025. Who knows what Fury would look like, or what his physical condition would be by then. Foreman was almost unrecognisable when he came back; shaven-headed and much overweight. Foreman’s whole personality had also changed – for the better. Of course it’s unlikely Fury will stay away for eight more years and ten months and then decide to “do a George Foreman,” but again, who really knows with Fury? Foreman walked away when still in his prime; maybe Fury has already made his mind up and has done so himself. 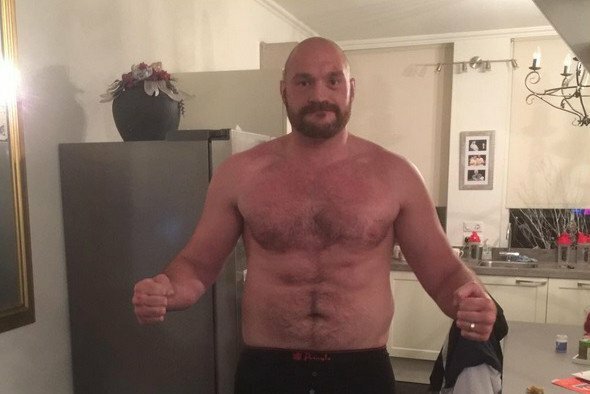 Would Fury be an all but forgotten former heavyweight king if he stunned us all by returning to boxing in 2025!